Poker is a type of card game where the goal is to ‘surpass your opponents’. To achieve this, the players bet on the value of the card-combination dealt to them and place the betting amount into the central game pot. The player, who possesses a hand with the highest value, or remains in the game after all others have folded, emerges as the winner. Each game of poker carries a structured amount of bets in each round of play. These are generally called limits. The limits of bets may be of three kinds – ‘No Limit’, ‘Pot Limit’ and ‘Fixed Limit’. It is important to understand these before choosing a table. 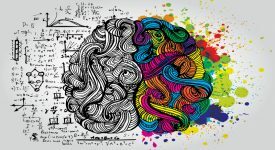 Though there are minor differences, but each variation requires a separate set of strategies, attitude and mind-set. Betting limit applies to the amount with which a player may open or raise. All poker games have a minimum bet limit, a stated maximum limit or no limit & a pre-decided betting unit in which bets can be made. Usually evaluation of the ‘pot limit’ and the ‘no limit’ poker is done on the basis of structure of the bet, strategies, skills & attitude required to be employed by the player. a) starting pot, i.e. chips collected from the previous rounds. b) Previous action in current betting round, i.e. trail. c) A call from the player making a raise. In a pot limit game no player can raise more than the size of the pot, but this raise can be less than the size of the pot as long as it is equal to or more than any previous raise or bet in the same betting round. If a player makes maximum raise, its known as ‘raising the pot’. In this variation of the game, players can bet any amount up to the size of the pot or whatever amount they have available with them. In this format, the players know the maximum limit of betting, so they can set their strategies accordingly. Here the arithmetical nuances of the pot odds need to be understood fully, as the risks and rewards are the result of the pot size. The main aim of each player is to put as few chips into the pot as possible when he/she has a losing hand, and the vice-versa. If the bets are limited so are the rewards. No limit poker is more a game of attitude and skill and one’s ability to judge the behavior of the opponents which require different strategies and moves to maximize one’s wins. You have to understand how your opponents are going to react to each hand. A good player will make different decisions in similar situations against the same player, to avoid the risk of being read by others. You can also manipulate your opponents by using your skills without even letting them know. 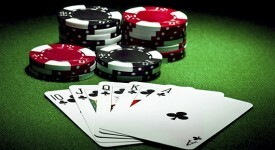 Here, a player’s goal is to get his opponents to put as much amount into the pot as possible when he has the best hand. This variation of poker is associated with higher stakes and bigger risks. Both the variations of poker are equally thrilling and fun-filled, both need to be played intelligently and skillfully. Bluffing can be a part of both, but utmost caution must be observed so as not to let your opponents know of it. So keep changing your strategies and be alert to your opponents’ moves. Popular Card Games in India – Know it before you play!